SEE OUR NEW WEBSITE AT nnll.info !! Players who participated in any division or season in either 2017 or 2018 may Register Online. The new Link will be available soon! Help us to brighten the Holidays of those who are less fortunate in our Community. Please donate a new, unwrapped toy for a child of any age (No Guns Please) to help make our effort a success. Toys can be dropped off at the Training Building at Kasberger Field on Thursday, December 6th, Wednesday, December 12th & Tuesday, December 18th from 6:30pm to 7:30pm. Please feel free to email us with any questions at nwkbaseball @aol.com. 2018 ANNUAL AWARDS CEREMONY IS A HUGE SUCCESS!!! Thank you to our Volunteers for making this Annual League event such a success. Photos can be viewed on our Facebook Page. The North Newark Baseball/Newark RBI program will be holding try-outs for its fall 18U and 16U 'Wolfpack' Travel Teams. The Teams will be playing a 9 game schedule with half of the games played at Kasberger and half away. The League is a Sunday League which means that games will be played on Sundays. Players who have not previously played with us may participate, but will need to show a birth certificate. AGES ARE DETERMINED BY HOW OLD A PLAYER WILL BE IN THE 2018 SEASON: PLAYER MUST BE 13 BY MAY 1, 2019 AND CANNOT TURN 19 BY MAY 1, 2019. Players May Still Register Online. Coach Pitch, Softball & Little League Divisions are Now Closed. Email us at nwkbaseball@aol.com for more information as to whether a spot might be available. Players who did not play in 2018 must register in person and present proof of age. Thank you to all of our volunteers for making the 19th Annual HomeRun Derby a hit!! Congratulations to all of our Champions!! * Be a High Scchool Senior, graduate, or student who earned their GED and plan to enroll for the first time in 2018 in a full time undergraduate course of study at an accredited two or four year college, university or vocational school in the USA or Puerto Rico. Kasberger Field is Located on the corner of North 5th Street and Third Avenue West in Newark, NJ. The Training Building is at the back of the field. Players can test their skills in this national MLB Contest that will start on the local level at Kasberger Field. Players will compete in Pitching, Hitting and Running. Participation is free. Winners will advance to the next level of competition. Participation is fun and FREE. The following age groups will compete; 7/8, 9/10, 11/12, & 13/14. Come join the fun! 2018 OPENING DAY IS A REAL HIT!! Thank you to all of the Volunteers Coaches, Players and Parents who made the Opening of our 64th Season Such A Success. Thanks also to the Newark Explorers, The Trike Masters Motorcycle Club, The Newark Fire Department and the Newark Police Department. Special thanks to State Senator Ruiz, Councilmen Ramos, Quintana and Gonzalez and Mayor Baraka for Sharing the Day with us! A Great Openng Of Our 64Th Season!!! 2018 ONLINE REGISTRATION IS OPEN!!!!! Please note that this is for returning players - those who have participated in the League in either the 2016 or 2017 Spring or Fall Seasons!! MINOR , LITTLE LGE DIVISIONS & RBI JUNIOR & SOFTBALL DIVISIONS ARE CLOSED AT THIS TIME- All Others Are Open Including Tee Ball, PreMinor and RBI Senior Baseball. Simply Click On The Register Now Tab On The Upper Left. OFFICIAL REGISTRATION DATES HAVE PAST. PLEASE NOTE THAT AS OF NOW BOTH MINOR LEAGUE DIVISION, LITTLE LEAGUE DIVISION, & RBI SOFTBALL DIVISIONS ARE CLOSED TO NEW PLAYERS. RETURNING PLAYERS SHOULD REACH OUT TO US AT nwkbaseball@aol.com. ALL OTHER DIVISIONS ARE OPEN (including Tee Ball, PreMinor, RBI Junior Baseball & RBI Senior Baseball), BUT SPACE IS LIMITED. THOSE WHO WISH TO REGISTER FOR THOSE DIVISIONS MAY DO SO AT THE LITTLE LEAGUE TEAM SELECTION AT 12:00PM ON SATURDAY, MARCH 10TH AT THE TRAINING BUILDING AT KASBERGER FIELD. 1. FEE- Please note: Each player is required to purchase his/her own pair of regulation pants (GREY, ELASTIC WAIST & KNEES). No child will be allowed to play WITHOUT these pants, which can be purchased wholesale from the League (at a savings of 50% off the retail price). 2. Each child must be accompanied by an adult. 3. Each child must present proof of age (birth certificate). 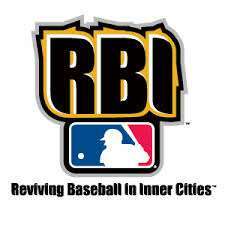 * Join Major League Baseball's RBI Program!!! * Newark RBI has a Boys Junior Division (ages 13 - 15), a Boys Senior Division (ages 16 - 18), and a Girls Softball Division (ages 18U). * The Junior Boys (ages 13-15) and Girls Softball will begin play in April. The Senior Boys (ages 16-18) will begin play in late May after High School Baseball is finished. * Boys who wish to register will be directed to their local participating RBI Program. 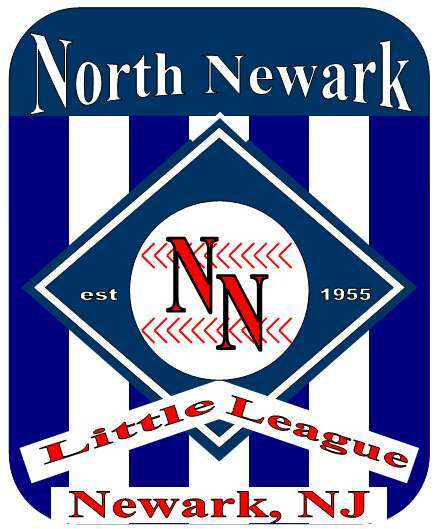 For those who live in and around the North Ward of Newark, for example, it would be the North Newark Baseball Program (See the information above). Those living in other areas should email us at newarkrbi@aol.com so that we may direct you to the proper member league. Newark residency is not required. college scholarships and possible nomination to regional showcases!!! To Sign Up Follow The Instructions on The Text Messaging Memo In The Handouts Section To The Left. It Is Easy....Sign Up Today!!!! Coach Joe's 2017 Holiday Wolfpack Toy Drive Is A Success! Thank you to all who donated to make the Holiday season a little brighter for less fortunate children in our City. A GREAT DAY FOR NORTH NEWARK AND OUR CITY!! MAJOR LEAGUE BASEBALL HELD ITS ANNUAL RBI JACKIE ROBINSON DAY CLINIC AT KASBERGER FIELD AND CELEBRATED THE OPENING OF THE LEAGUE'S INDOOR TRAINING BUILDING AND BATTING CAGES ON FRIDAY APRIL 15, 2010!!! FORMER MAJOR LEAGUER HAROLD REYNOLDS,THE YANKEES'BRIAN CASHMAN AND JOE GIRARDI AS WELL AS TEXAS RANGER'S MANAGER RON WASHINGTON AND SHARON ROBINSON ATTENDED THE EVENT. SEE THE FACEBOOK PAGE FOR MORE. TO CONTACT US WITH ANY QUESTIONS CLICK ON nwkbaseball@aol.com LOCATED ON THE LEFT SIDE OF THIS PAGE. WE WILL RESPOND BACK BY EMAIL OR TELEPHONE IF YOU PROVIDE YOUR NUMBER. Joe Kasberger was a high school and college baseball pitcher from The Dalles, a town in Oregon, who dedicated over 30 years of his life to high school baseball in the city of Newark. He served as baseball coach at St. Benedict’s Prep in Newark from 1930 to 1968. During his time in Newark, he became known as one of the greatest coaches in New Jersey high school history. His baseball teams once won 64 consecutive games over a four-year period and posted 593(W)-137(L)-3(T) in baseball. Kasberger died in 1969 and was inducted into the Newark Athletic Hall of Fame in 1988. The North Newark Little League is proud of Joe Kasberger and look forward to playing on a re-dedicated Kasberger Field in the Spring of 2010.